Sometimes you’ve got to embrace the concept of "junking up" a recipe, and that’s just what a slew of my favorite food writers decided to do in honor of one gorgeous mama and her baby shower. 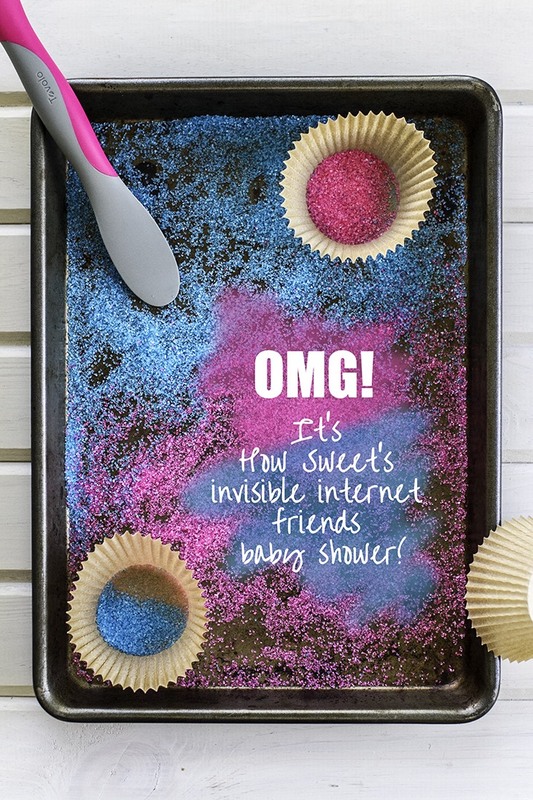 Many of my favorite foodie bloggers are spread out all over the country and since most of us rarely get to see each other in person we’re throwing a virtual baby shower for the hilariously sweet and ready-to-pop, Jessica Merchant, of How Sweet It Is. We decided for the event that we would "trash up" recipes for Jessica. Why? If you're familiar with Jessica's awesome site you would totally get it. It's filled with recipes that run the gamut from healthy to comfort food, but always with a major twist. My contribution to the shower are these Trashed Up Mexican Pizza Pockets. 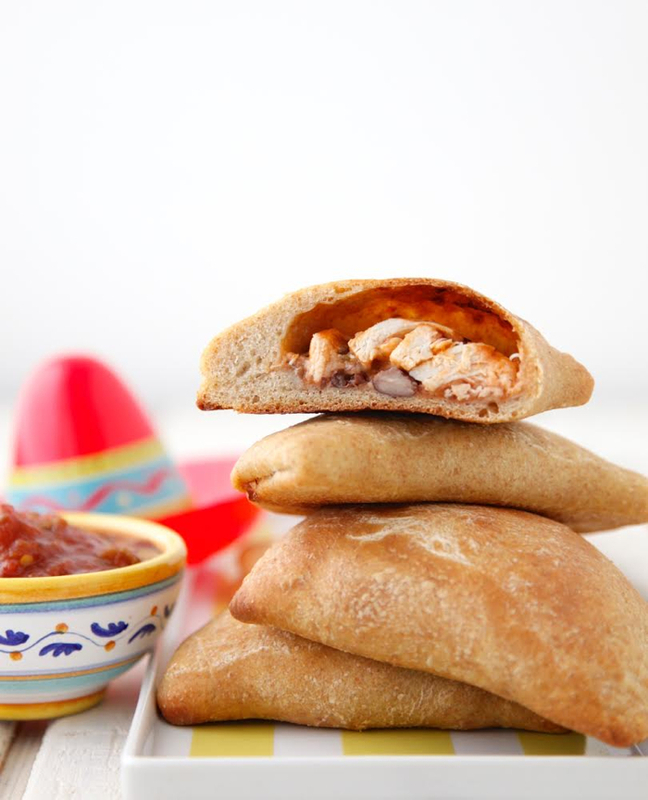 Going beyond what you'd expect to find in a pizza pocket they’re stuffed with roast chicken, beans, cheese, salsa and more. But don’t let me limit your creativity. 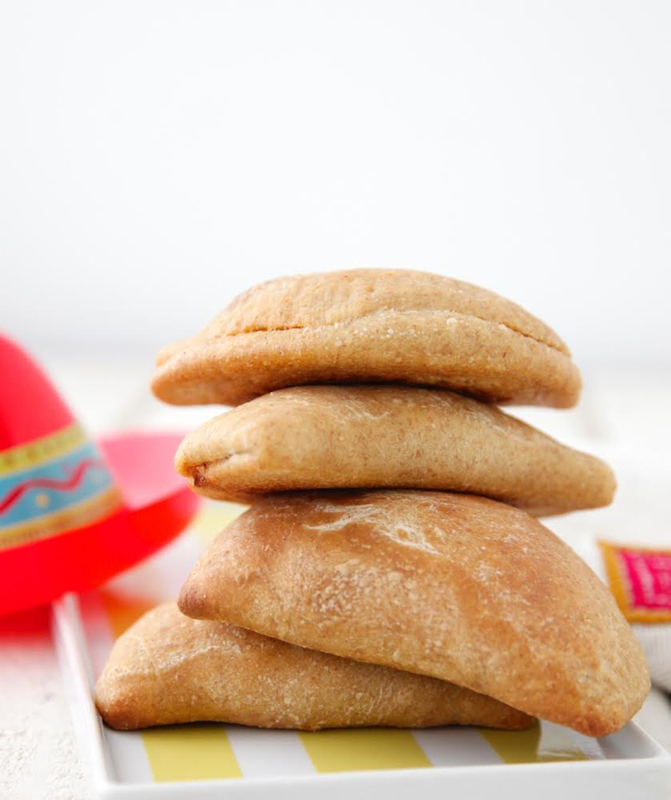 Fill them to the brim with any other Mexican flavors you love or whatever you might have sitting in your fridge that you think would work. 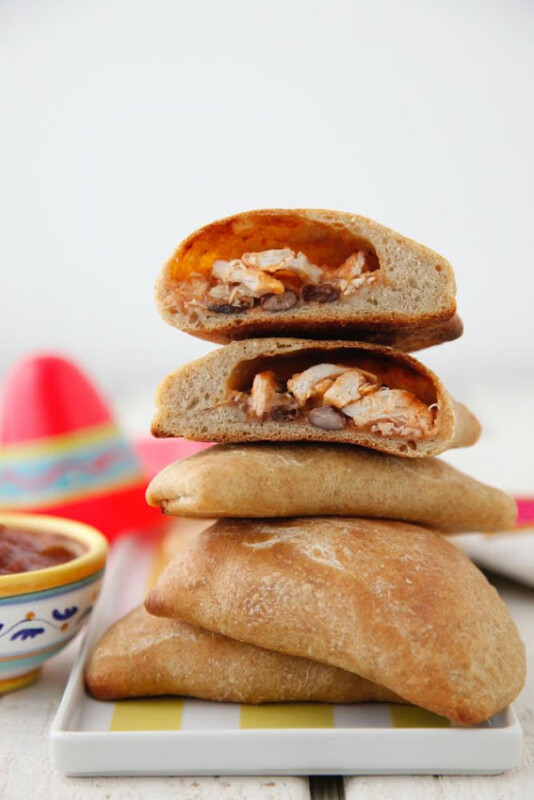 I made these for dinner one night and even put a few in the kids lunch the next day (yes, they're also yummy at room temperature) and both of their lunch boxes returned empty. I’ll have to remind Jessica about making these fun hand-held pockets when her impending bundle gets a bit older, but hopefully until then she can whip them up to satisfy her pregnancy cravings! 2. Divide the pizza dough into 8 equal pieces. Roll out each piece to a 6x6 inch rectangle. 3. In a bowl, combine the chicken, beans, cheese, and salsa, and stir to combine well. 4. Spoon filling onto one half of each dough rectangle, fold dough in half over the filling, and using a fork press the edges to seal. 5. Place pizza pockets on a greased baking sheet, brush with oil and bake for 25 minutes, until golden brown and cooked through. How fun are these pizza pockets!?!?! I know that Jessica will love these... and one day her kiddo will too! YESSSS. Catherine, seriously. I love this. Thank you so much for being a part of today! These are genius!! Gotta make them for my kids - and me - asap! I love these! 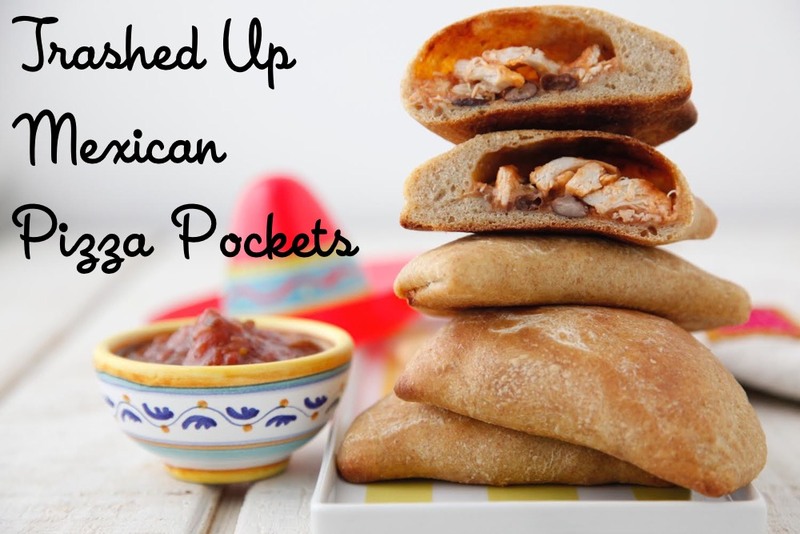 A totally Jess take on pizza pockets, and even a little healthy too. Perfect to throw in the freezer for easy meals and snacks. any fun ideas to replace the chicken? I need to make these for lunch today, this post made me hungry! What a fun idea! Can't remember the last time I had a pizza pocket! 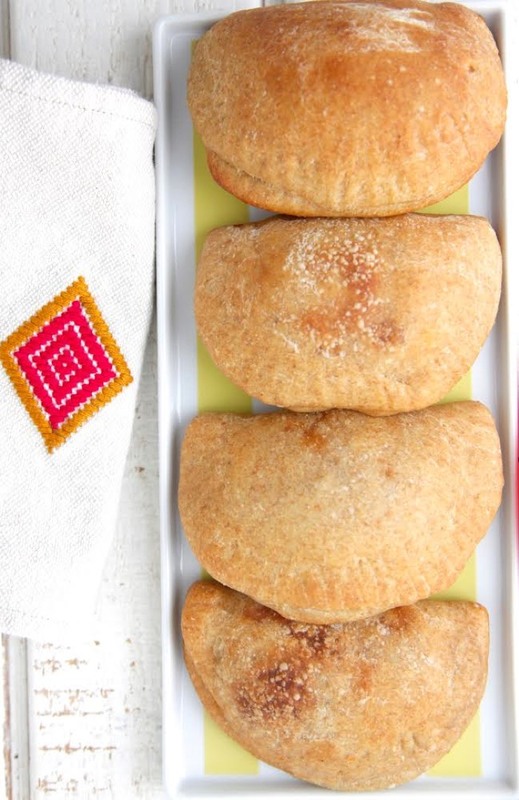 Homemade pizza pockets sound like the best thing everrr. Thank you so much for joining Jess's shower + sharing this recipe! 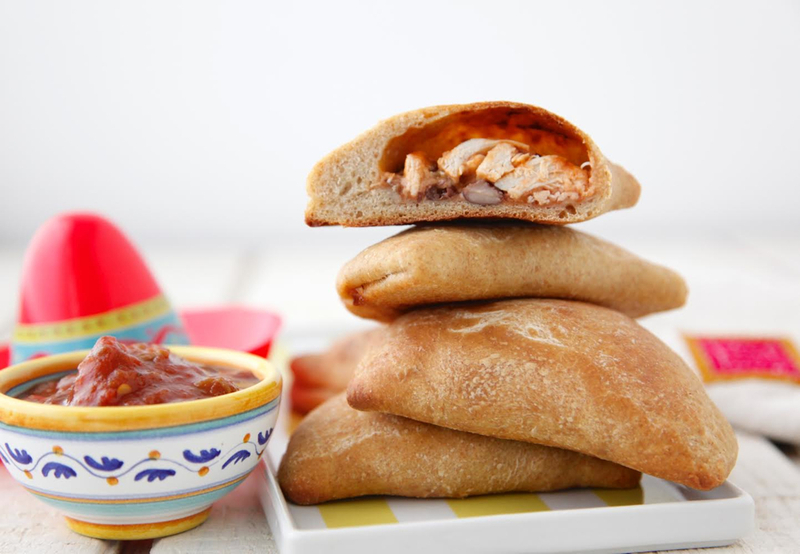 I can't to bite into this savory pizza pocket!